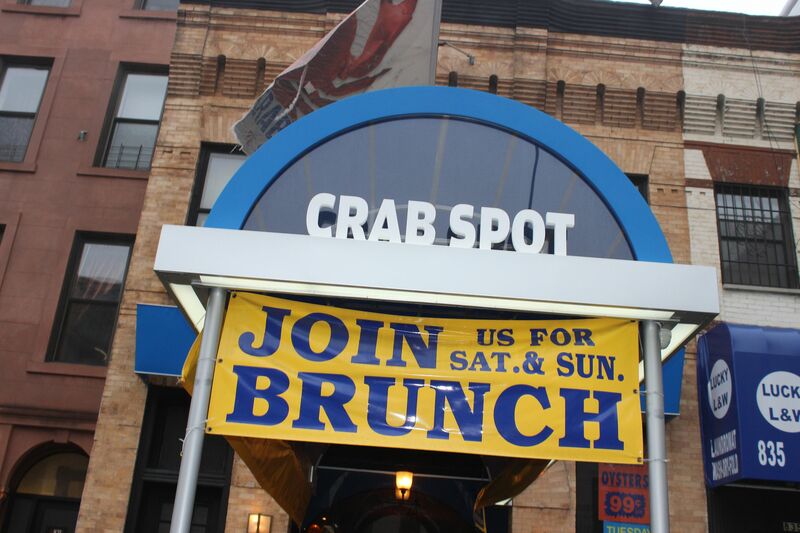 Since opening on Union Street less than a year ago, Park Slope’s Crab Spot has become among the most sought after restaurants in Brooklyn for seafood hounds. The restaurant’s comfortable space and vast menu brings a bit of uniqueness to Park Slope that is surprisingly unavailable elsewhere in town, a bit of a surprise considering the fact that New York City seems to cater to any diner’s appetite. 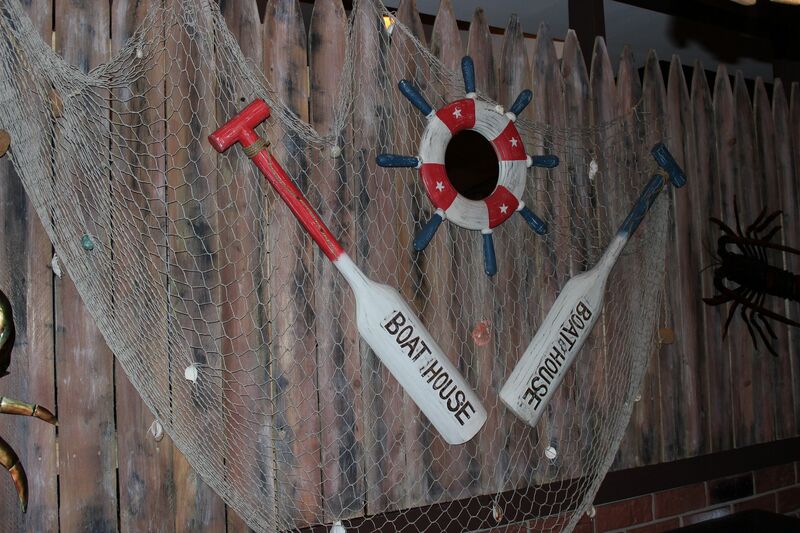 But that said, finding a local seafood restaurant that can match the appeal and the authenticity of those that we associate with beach towns are essentially nonexistent in New York City. 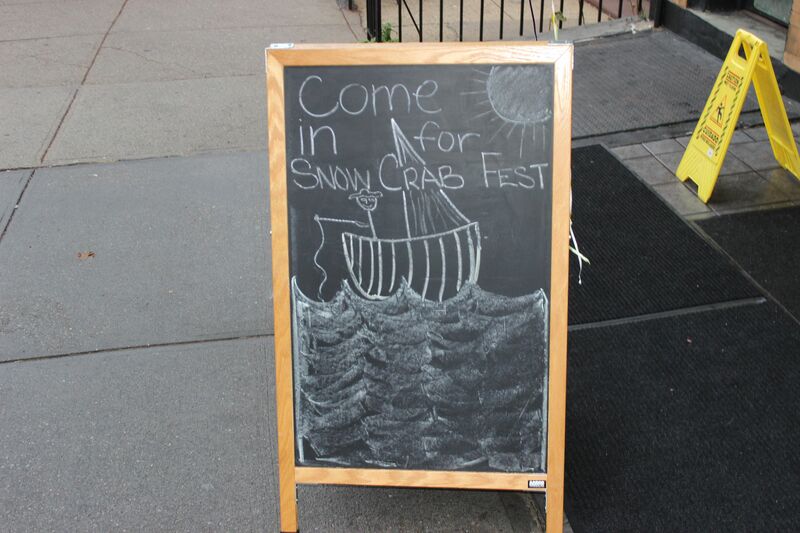 Crab Spot, however is a place that offers such distinction and on Sunday afternoon, the restaurant would celebrate with a day long “Snow Crab Festival” putting some of the place’s finest food on full display. 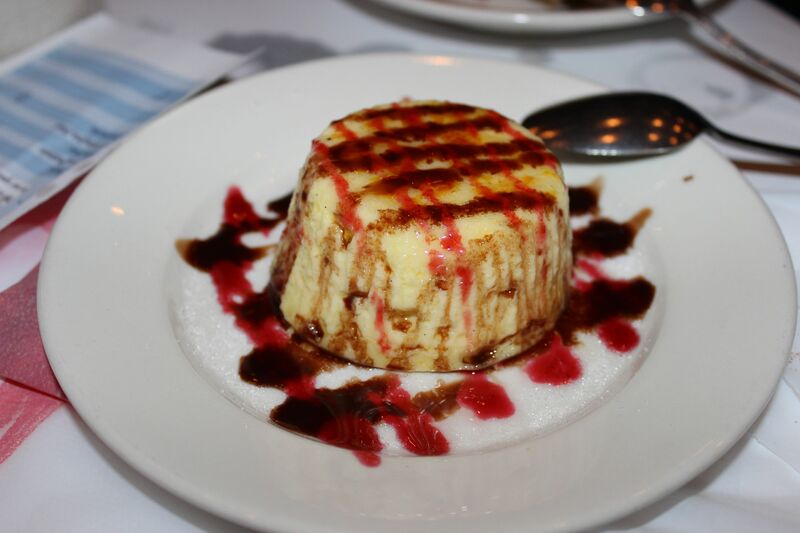 And guests were treated to an endless feast of delectable proportions. 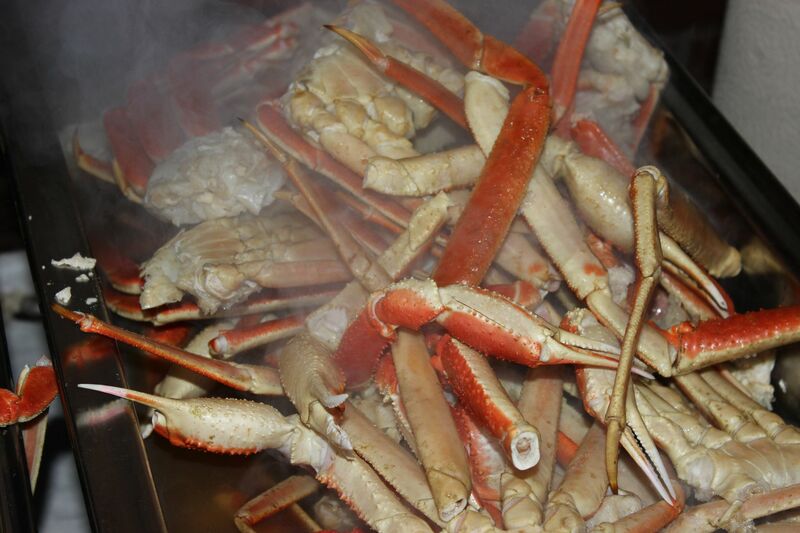 Tickets for the “Snow Crab Festival” were (pardon the pun) shelled out in different two and a half hour sessions, allowing patrons plenty of time to crack open unlimited handfuls of crab meat. With a house DJ working the mix, we arrived just after 3pm and the space was nearly full with an array of folks already seated working on the massive helpings of crab in front of them. The music could be heard booming outside of the restaurant in anticipation of the frenzy of eats that was to come. 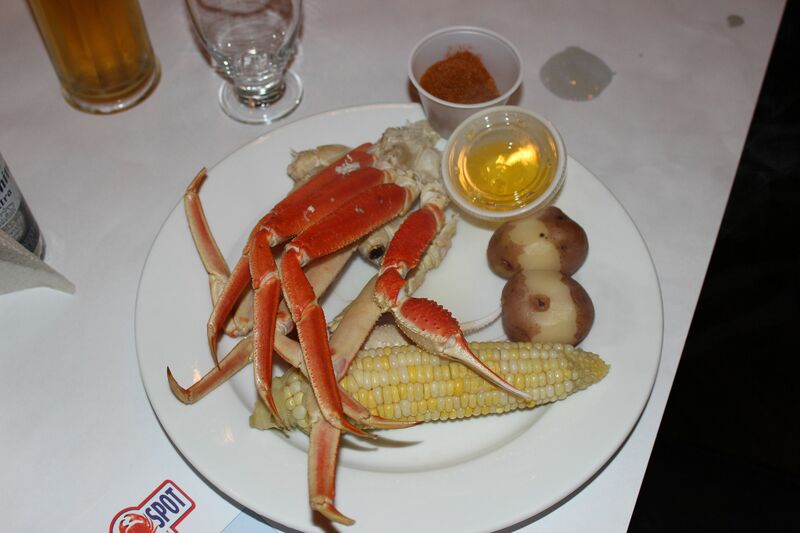 Each session included generous portions of snow crabs, whole potatoes, tasty corn on the cob, and of course, pours of premium draught beer. 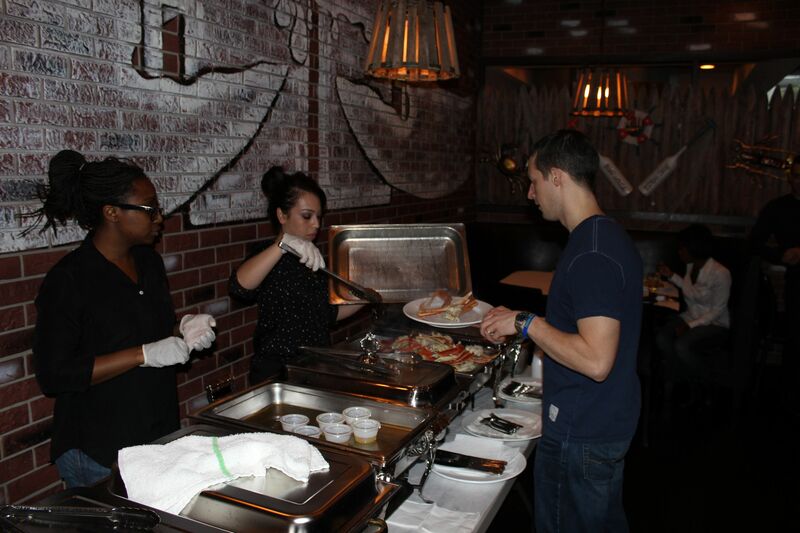 As we approached the bar for pints of Radeberger, the wafting aroma from the freshly prepared crabs was quickly noticeable. 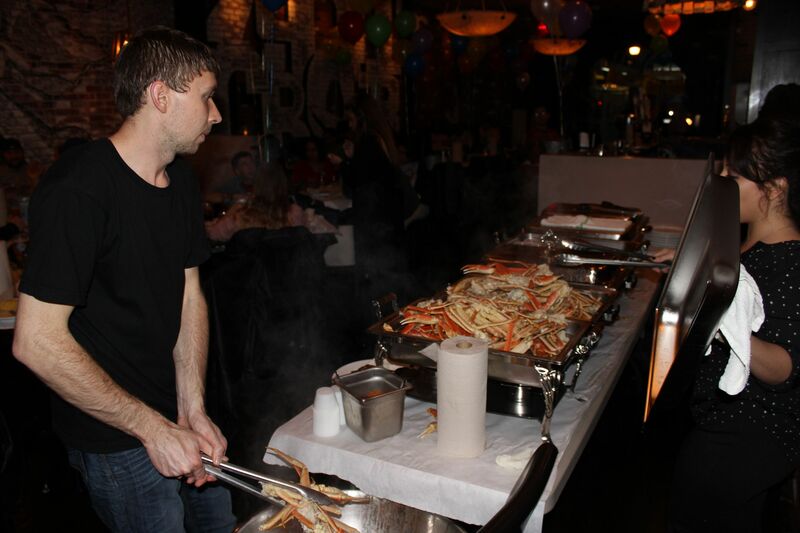 Small parties were seated all around us, with plates covered in crab shells and stripped down corn stems. With mallets in hand we stepped up to the serving station where two friendly restaurant employees were doling out the goods. 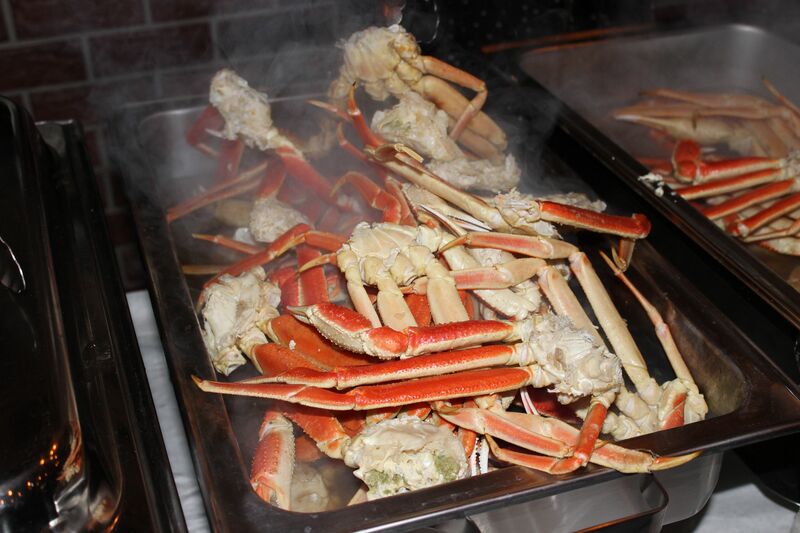 Grabbing all the fixins, the piping hot white steam exploded out from the large silver serving trays as the massive crabs were revealed to us. 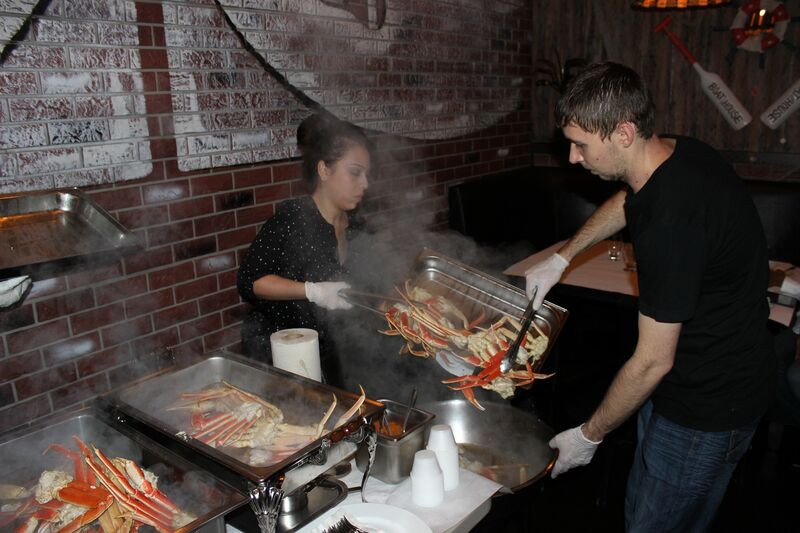 Fortunately for us, the restaurant didn’t skimp on their generous portions as each subsequent return trip for more crabs was met with the same heaping plate filled with tender crab. 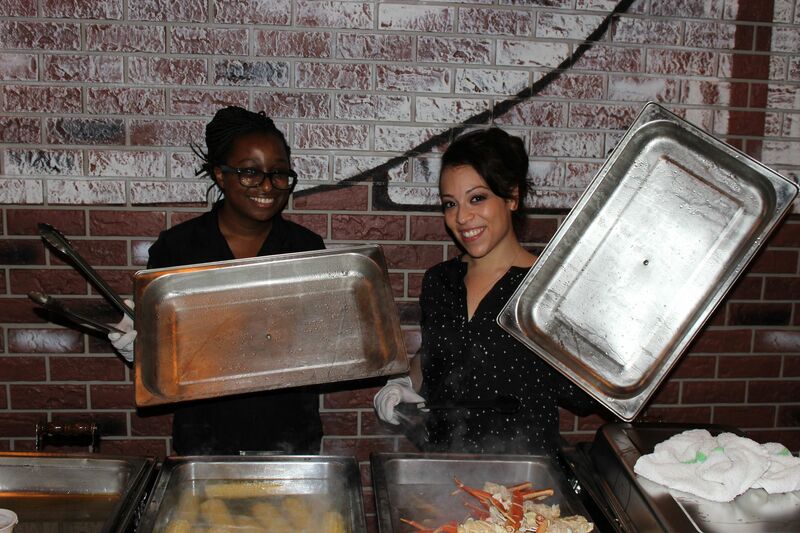 Equipped with old bay seasoning and a small side of drawn butter, we cracked each succulent morsel of delicious meat from its shell with a smile, and slurped down as much of it as we were physically able to. 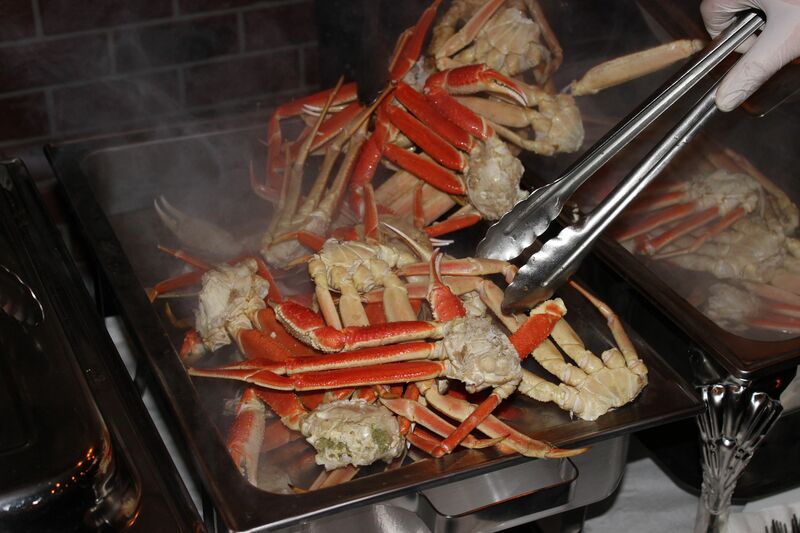 Donning white plastic bibs, we lapped up every ounce of the rich drawn butter around the flavorful crab meat, which frankly did not even need any additional accoutrement to compliment its taste. 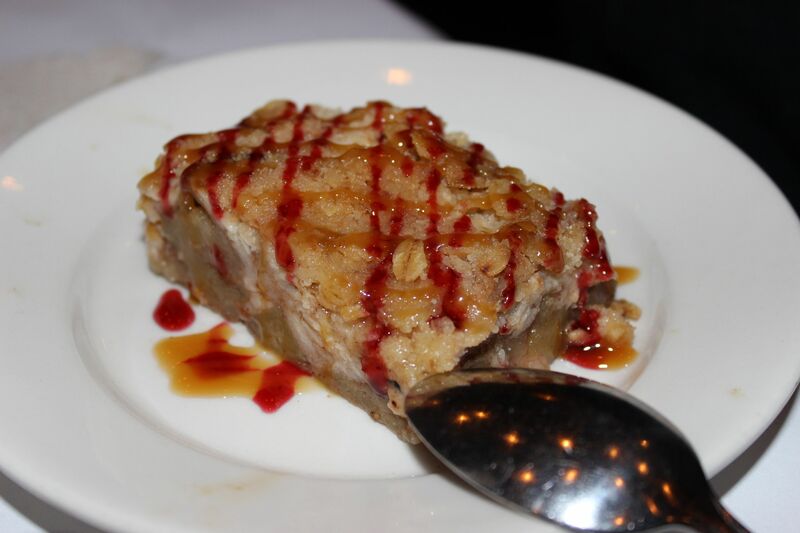 Just as we had reached our fill with three helpings of crabs alongside the hearty potatoes and corn, Crab Spot rolled out some desserts for their guests and we were treated to some fantastic “Individually Baked Sour Cream Cheese Cake” and their “Warm Apple Crumbled Tart.” The desserts only served to highlight an already stellar afternoon in our first visit to Crab Spot, a place that certainly knows a thing or two about delivering authentically delicious seafood to a city where such delicacies are hardly commonplace. Once again sounds like an awesome event. As i was reading the article, i felt the juices inside my mouth begining to tumble . Nicely done and the event sounds like a Homerun. The pictures were simply great.